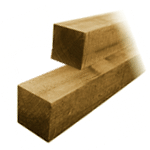 At A&P Fencing we supply a variety of timber fence posts from from the highest quality timber and cut to perfection. 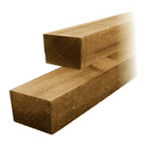 All of our posts are treated in tanalised green or tanalised brown. This treatment helps to make them look great, complimenting your existing fence panels. Not only this, but it helps to preserve the life of them, keeping them looking amazing for as long as possible. 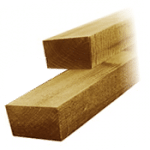 We have a range of timber fence posts, all listed below. They are available for fast delivery from our West Midlands depots to popular locations including Birmingham, Sutton Coldfield, Great Barr, Tamworth, Lichfield and more. It’s the care that goes into our manufacturing process that helps give A&P Fencing our reputation for providing the highest quality products at an affordable price. Timber fence posts not only help to keep your fence panels standing upright even on the windiest of days, but they also allow your fences to look uniform and consistent throughout, rather than having different colours and materials as you would with concrete fence posts. 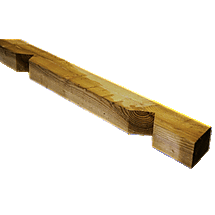 Our wooden fence posts are available in a range of sizes and are also available as notched fenced posts and round and ribbed top posts. 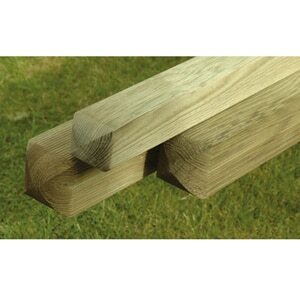 Order timber fence posts from our website today for fast delivery in the West Midlands area.